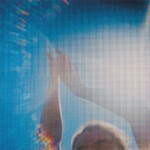 The brainchild of Amelia Murray, Fazerdaze began as a string of bedroom recordings created late in the night, emerging fully-formed in 2014 as her debut eponymous EP. A succinct collection of intimate, beautifully produced dream-pop written, produced and performed by Murray herself. It's a significant first outing for the young New Zealander with layers of softly crunching guitars swirling over consistently driving drum machines, and sparse electronica. The EP quickly took flight, receiving critical acclaim from blogs and publications around the globe. NME described it as 'elegant dream pop', while US blog HillyDilly exclaimed how 'Fazerdaze transports us to a warm, optimistic sonic space with her glistening synths and mellow acoustic guitar strums'. NZ's Sunday Star Times listed it in their 'Best of 2014' spread, hailing it as a 'versatile collection of near-perfect pop songs...'. Since the EP release, Fazerdaze and her band have shifted to another level. Opening the 2015 New Zealand Silver Scroll Awards with her cover of Marlon Williams' Dark Child as well as supporting and touring with international acts like Unknown Mortal Orchestra, Explosions In The Sky and Connan Mockasin. She was invited to join the Red Bull Music Academy in Montreal and she stole the show at both Auckland's Laneway Festival and The Others Way Festival. In May, Murray will take her band to the UK to play The Great Escape Festival.